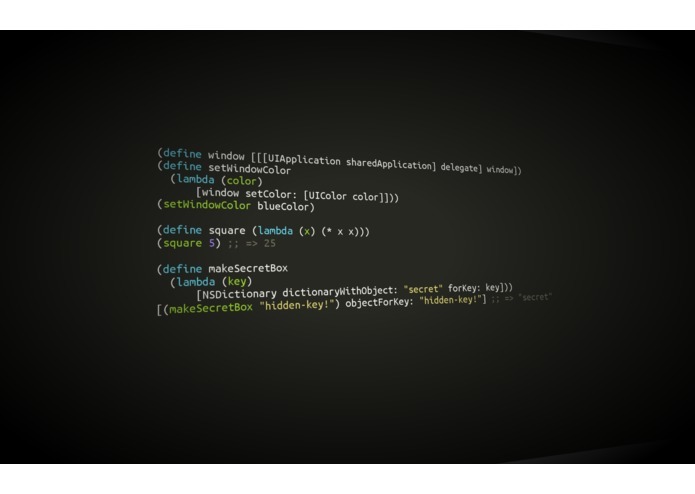 A live-coding scheme interpreter that runs inside Objective-C applications. Scriptable via a TCP connection and accompanying REPL server. Update your UIViews or any other Object live, on the fly! All code for it was hand-written, from the parser combinator library used to parse the grammar, all the way to the evaluation functions and Objective-C runtime integration over the course of 2 days! It all runs inside your app and takes 1 line of code to integrate!